Anhydrite is a mineral anhydrous calcium sulfate. Distinctly developed crystals are somewhat rare. The color is white, sometimes greyish, bluish, or purple. Angelite (also called Anhydrite) has a connection to the higher realms, facilitating angelic communication. 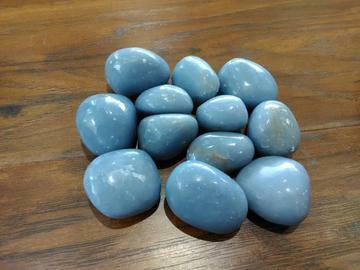 It is a very soothing, peaceful, and uplifting stone, quite helpful during times of transition.